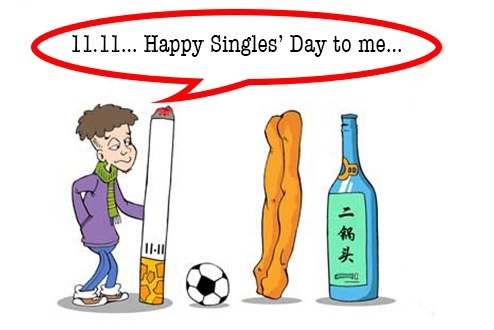 Singles’ Day is the anti-Valentine’s day in China. It takes place on November 11th each year. It is called 光棍节 (guāng gùn jié) which literally means “bare stick day." The name comes from the date 11/11, which looks like a lot of lonely “ones.” It was reportedly invented by students in the early 1990s. It is an extremely popular holiday for the youth in China, who take advantage of this day by celebrating their single status. Single people may organize parties or go to bars together. Youtiao, a type of fried breadstick often served at breakfast, is eaten on this day because of it’s similarity in shape to the number 1. 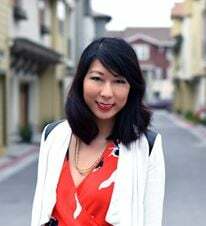 Instead of celebrating single-hood, however, many people choose to lament over their solitude or their #foreveralone status via China's social media channels, such as Weibo and WeChat. Perhaps that is why so many turn to online shopping to fill the void. Online shopping juggernaut Alibaba Group has turned the day into the world’s biggest e-commerce holiday, the equivalent of Cyber Monday in the U.S. Many vendors on Alibaba’s retail websites, Tmall.com and Taobao.com offer 50% off deals and discounts on this particular date. In 2014, Alibaba pulled in $9.3 billion in online sales. In 2015, Alibaba's sale volume had already exceeded 5 billion in the first hour and a half. By comparison, consumers in the U.S spent a meager $2.9 billion for Black Friday and Cyber Monday in 2013. This makes sense, as China’s boasts a population of around 250 million single adults - more than the entire adult population in the U.S.
CEO Jack Ma told CNBC that he hopes the U.S can join in on the Singles’ Day celebration (and by “celebration,” he means buying ton of stuff) by 2019. We foresee a few difficulties, mainly that this date is already Veterans Day. Plus, the U.S already celebrates Cinco de Mayo and Oktoberfest - which admittedly were not geared towards single people, but have somehow become representative holidays for them. Perhaps it’s the idea that instead of celebrating your single status by shopping, you should celebrate it by drinking. What do you think? Would you celebrate Singles’ Day if it came to your country?